Zhang H, Hu YG, Yang BJ, Xue F, Wang CY, Kang ZS*, Ji WQ*. 2013 Isolation and Characterization of a Wheat IF2 Homologue Required for Innate Immunity to Stripe Rust. Plant Cell Rep, 32: 591-600. Zhang H, Chen XY, Wang CY, Xu ZY, Wang YJ, Liu XL, Kang ZS*, Ji WQ*. 2013 Long non-coding genes implicated in response to stripe rust pathogen stress in wheat. Mol Biol Rep, 40: 6245-6253. Zhang H, Yang BJ, Wang YJ, Wang CY, Liu XL, Ji WQ*. 2013 Molecular characterisation and expression of a pathogen-induced senescence-associated gene in wheat (Triticum aestivum). Australasian Plant Pathol.42:53-61. Xue F, Ji WQ, Wang CY, Zhang H, Yang BJ. 2012 High-density mapping and marker development for the powdery mildew resistance gene PmAS846 derived from wild emmer wheat. Theor Appl Genet, 124:1549-1560. 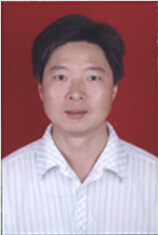 Zhang H, Hu YG, Wang CY, Ji WQ* 2011 Gene Expression in wheat induced by inoculation with Puccinia striiformis West. Plant Mol Biol Rep 29(2):458-465.